Housing is on an absolute tear. As rental prices increase, it makes more and more sense to purchase a home. Mortgage rates have fallen substantially since 2007. This has allowed buyers to keep their payments lower than renting. While a few of the most aggressive lenders have been able to offer top-tier borrowers 30yr fixed rates at 4.35% for quite a while, today is the first day where it’s decisively the average rate quote for top tier scenarios. 2) Where exactly are we historically?? The time is of the essence to purchase now while the rates are low and the housing market is still increasing. The economy continues to recover. Rates will increase over the next 12 months. The increases will not ramp up until closer to mid-year. 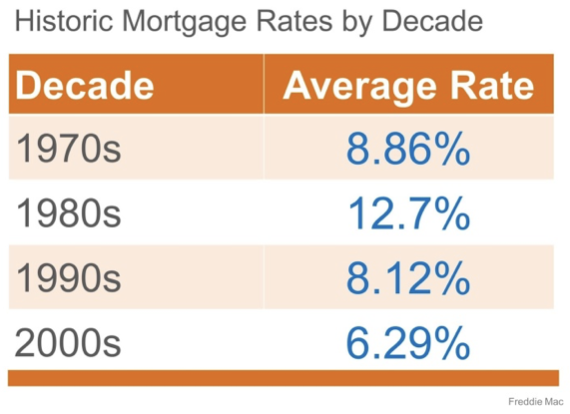 Rates are still really, really low relative to historical averages. What the heck is an escrow account? What the heck is an escrow account?